Introducing ‘Doodle Tortoise!’ This very smart tortoise is adorable! 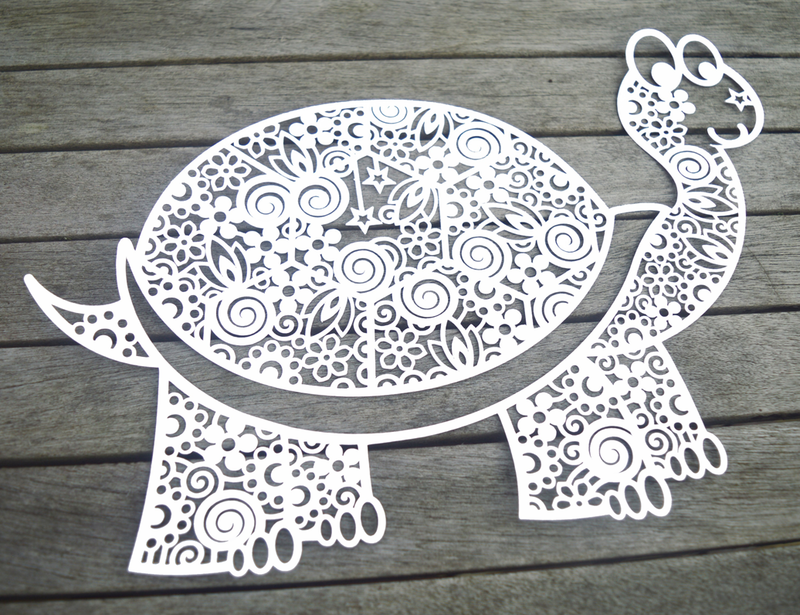 This Tortoise design would be perfect for any Tortoise lover. His patterned shell and body looks amazing without infills, but he would also look stunning if infilled with colour! My inspiration for this Tortoise design came from my love of animals and colouring books! I decided to try combining both my papercutting art and my colouring book ideas as one technique and I love the result! I hope you do too!